This is exactly the kind of dish that I was hoping I’d find when I chose Ethiopia as my next culinary destination. 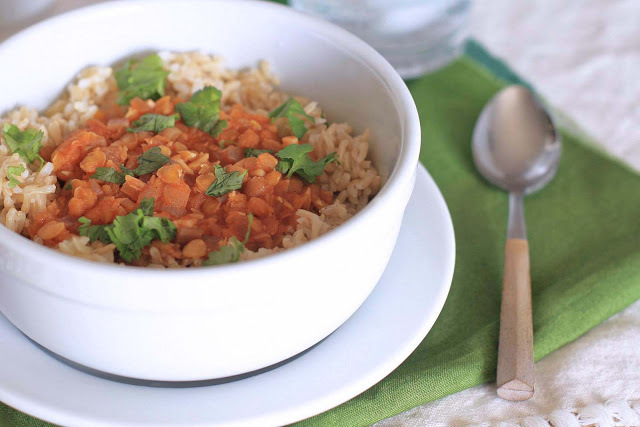 It’s healthy, quick, spicy, and vegan-friendly. Another bonus: it’s made with common, easy to find (in a health food store anyways) ingredients. I’m a huge fan of lentils but I tend to use the green/brown or black beluga variety. 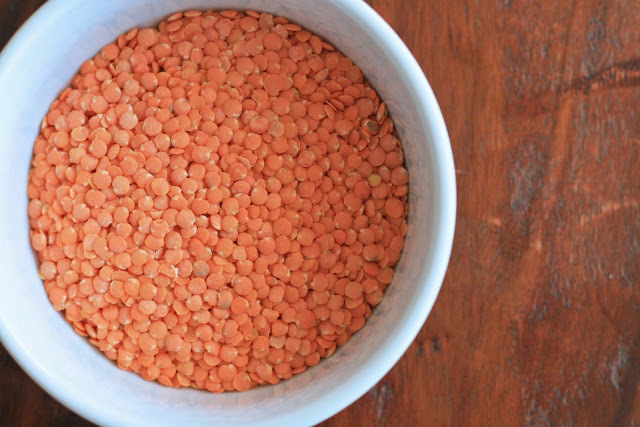 Red lentils cook up even faster, making them perfect for a quick weeknight meal. 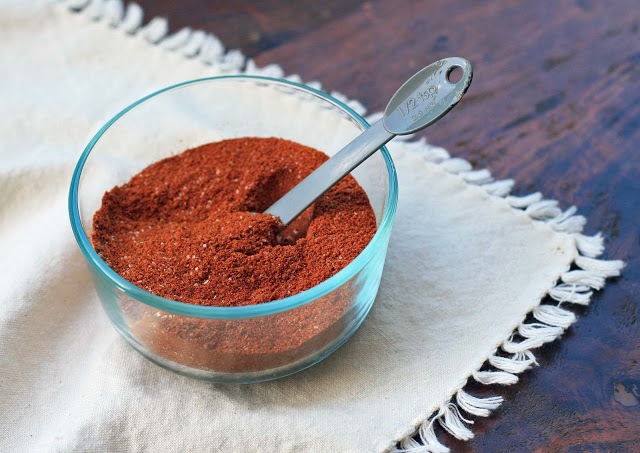 I gave the same word of caution when I posted the berbere recipe, but berbere mixes can vary widely in terms of heat. If you’re using a pre-made mix, you might have to adjust the amount of seasoning to taste, or even add some cayenne to spice things up. I found 1 1/2 Tablespoons of berbere to be just right when the lentils were mixed with an equal amount of rice to help temper the heat, but it’s probably better to start with less… you can always add more at the end. Heat the nit’ir qibe or oil in a large saucepan over medium heat. Add the onion and cook, stirring, until softened. Add the garlic and ginger and cook for two minutes. Add the berbere and stir to coat. Add the pureed tomatoes and broth and bring the mixture to a simmer. Rinse the lentils under cold water and then add to the broth mixture. Stir to combine. Simmer, partially covered, until the lentils are tender. Taste and add salt, if necessary, and pepper to taste. Top with plenty of chopped cilantro.